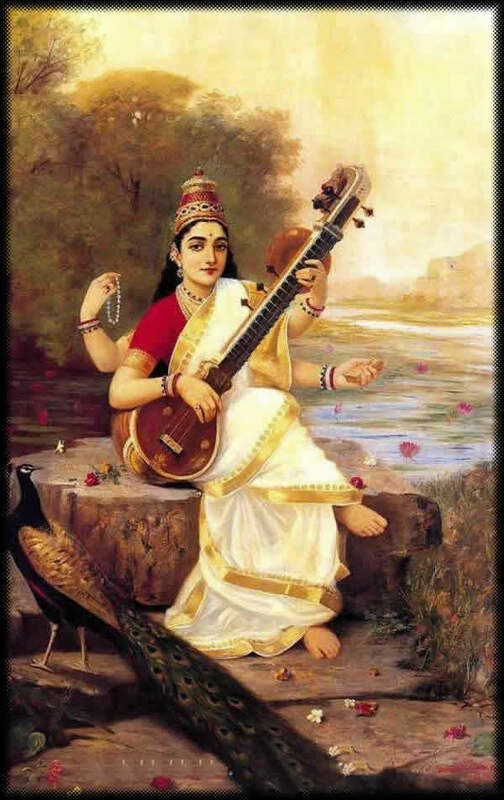 A request by a reader for a post on Carnatic music makes me jump up. How do you write a good, comprehensive article that does justice to this, an art which actually becomes a way of life, and introduce it to someone? Especially when you have been learning for more than a decade now and yet, feel absolutely like an amateur! Needless to say, the entire morning was lost racking my brain than being an attentive student in class. First, the basics. 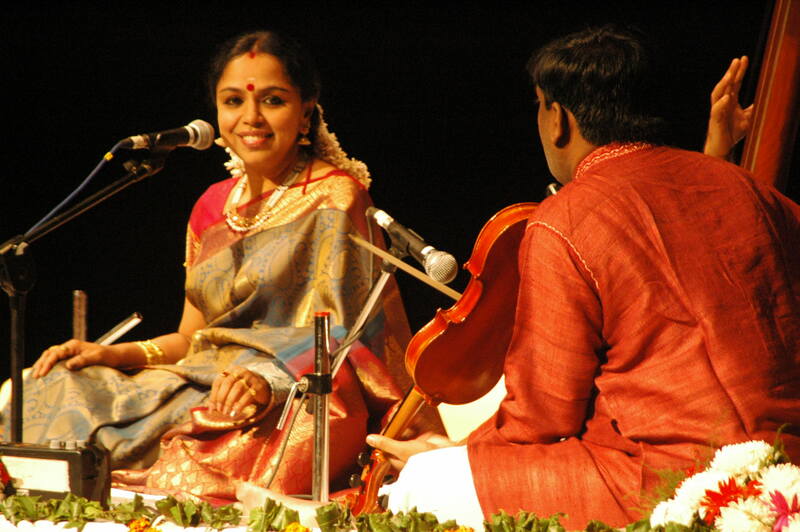 Carnatic music is a system that is more common in the southern parts of India. The framework, like most forms of music, consists of taala (rhythm), raaga (rules for the notes), swara (sound of a single note) and srhruti ( the pitch). Similar to the Hindustani sargam, we have Sa-Ri-Ga-Ma-Pa-Da-Ni-Sa ( there are minor differences in the way some of them are pronounced, say Ri – vs Re). A raaga, is a set of rules which specifies how notes must be sung. There are 72 Melakarta Raagas, the parent ones which have the entire sargam. From these, you can get several raagas having only a few of the notes called the Janya Raagas (those that have come from the Janaka Raagas). An important concept here, I feel, is that of a ghamaka. It is what makes a song with sahitya (words) come alive rather than striking just bland notes. You can call it the swing or slide from one note to the next in your song. Every raaga has a set of rules of how its notes must be played, certain powerful trademark ghamakas that distinguish it from the rest. All these components give raagas a life which makes them elicit emotions of anger, love, sadness or happiness from us. Taala is a set of beats, a fixed time-cycle. Adi Taala is one of the first that you would learn as a beginner. It has 8 beats. There are more, Roopaka for 3, Eka for 4 etc. An online source or a good book on music would be a better knowledge-provider for the entire grammar of how taalas are detailed and how they must be depicted by hand, while playing. Compositions can have a single taala or raaga during the entire song; they can also be Raagamalika or Taalamalika, meaning more than one raaga or taala. Something wonderful happened. I spent a wonderful Dussehra in Chennai. Yes, the heartland of Carnatic music, and culture. The city where every family has every child learning how to either sing or play an instrument. As you walk alongside a residential colony, the scent of agarbattis from the puja room and freshly plucked flowers adorning a young daughter’s plaits wafts into your path. 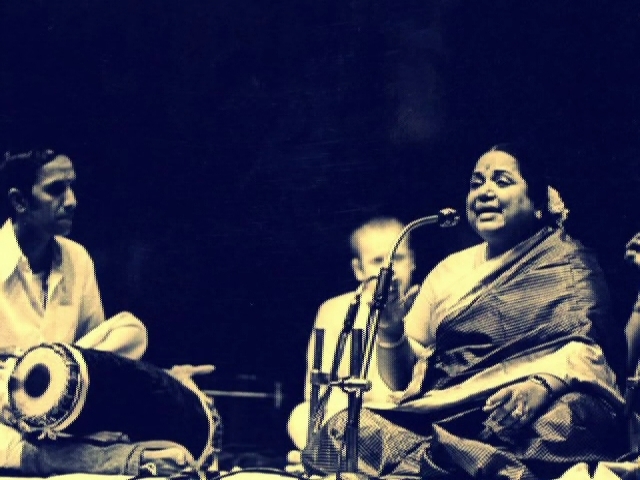 The beautiful voice of M.S.Subbulakshmi has enthralled mornings for generations. Festivities have never felt complete without nadaswarams and mridangams transforming the chaos-filled evenings into paradise. That is the power of a fine-art incorporated into a way of life. People derive a calm, a break from their stress-filled lives when Kadri Gopalnath’s saxophone soothes you as you enter your house. Maestros like U Srinivas have brought new instruments into the sphere (read the Mandolin) and modified it to suit the carnatic way of playing. The lines between spirituality and philosophy and one-directional practising of music merge as one delves deeper into the art. The nuances emerge as we realise the true meaning of Manodharma Sangeetham (Music of Imagination) and apply it to our real lives. As Richard Bach points out in his book Jonathan Livingston Seagull, heaven is not a place or time. It is striving for perfection. This attempt can be made by any of us, pertaining to our contexts. The Gita remains the same, nevertheless the myriad applications and inferences differ for a barber or a corporate honcho. Back in my room, I rejoin my rigour of a life at IIT. The Durga Puja holidays have opened my eyes and helped me look at things differently. Some label it old and bygone in a demeaning manner, some find the tradition rich and mesmerising. Everything has the good and the bad. Times have changed. No longer can we, or do we, dedicate an entire life learning the scriptures and spend 18-hour days fine-tuning a particular alaapana in a raaga. Yet, the principles that governed the lives of those stalwarts are the same that can lead us to a higher level of consciousness in our modern lives. Remember Maslow’s Hierarchy of Needs? Yes, any dedicated effort, especially ones like learning fine-arts which tend to heighten that aspect of your character which helps you improve yourself, is worth imbibing. Nowadays, there are countless websites, D-I-Y books and Youtube videos that claim to teach authentic music to interested people worldwide. While I am not particularly against any of those, I would implore you to do your homework first. Do not go and blindly fall for false promises. Carnatic music, or classical dance or Hindustani music – anything pertaining to culture, has much more to itself than the initial A B Cs. Please ensure that you learn the finer nuances too. If I have, by mistake, written anything wrong above, please leave a comment. The history of music in India has seen several gems of which I have named just a few in the post. I encourage you to begin a journey of your own, discovering your taste and the god-gifted musicians we have witnessed in our country.